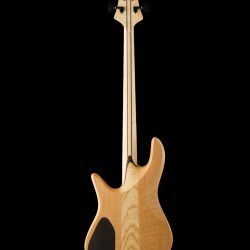 Here is 2017 NAMM bass #1, a Viceroy 4 Elite with an Alder body, Ash tone block, Pink Ivory fingerboard, and Japanese Maple top. 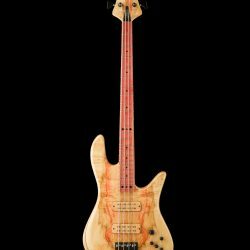 This instrument has a warm, articulate tone with a deep, fat low end, mellow, musical mids, and slightly rounded yet bright highs. 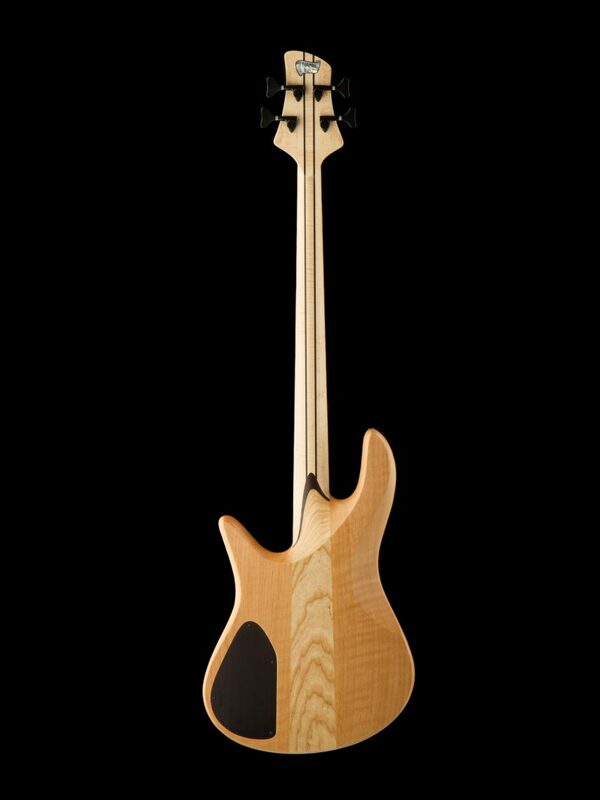 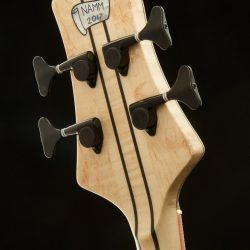 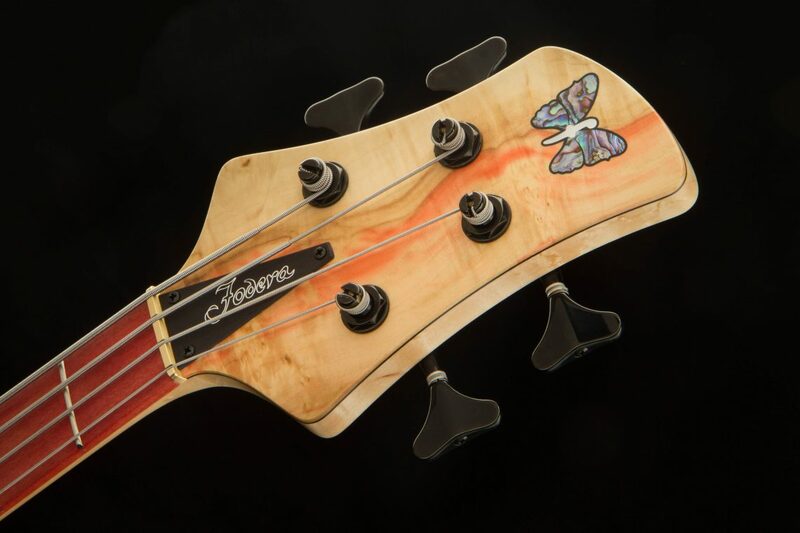 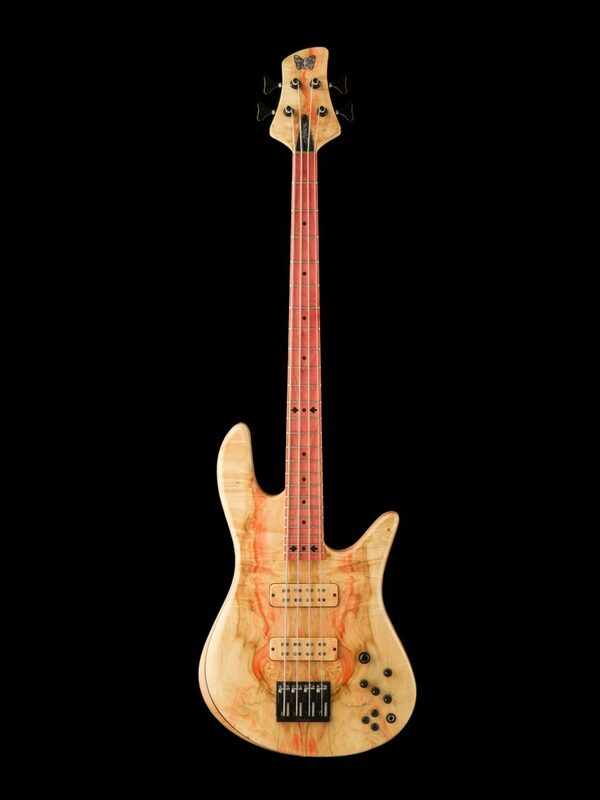 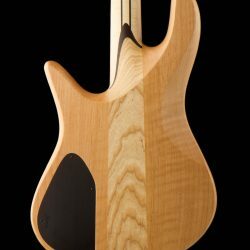 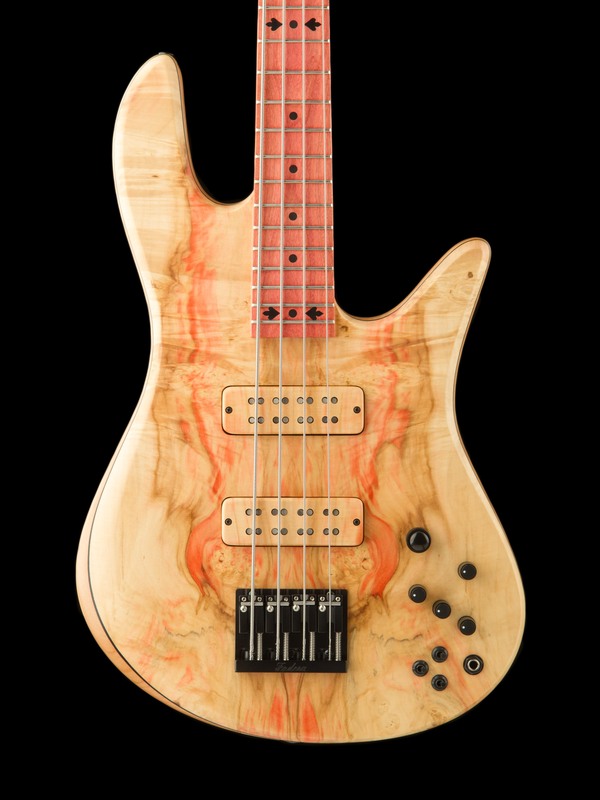 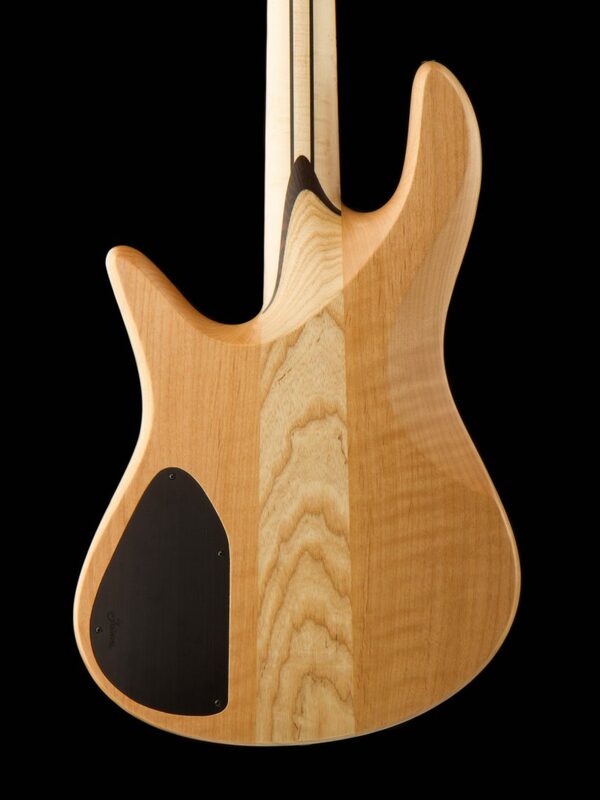 This instrument was spec’ed out with a Japanese Maple top and Pink Ivory fingerboard to make a truly unique look that plays off the vivid natural coloring of both materials, while also maintaining viability from a sonic perspective. 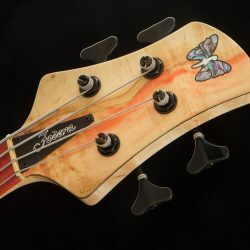 We chose to balance out the brightness of Pink Ivory with Alder and Ash body woods, and the Japanese Maple is fairly light-weight material that helps maintain that balance. 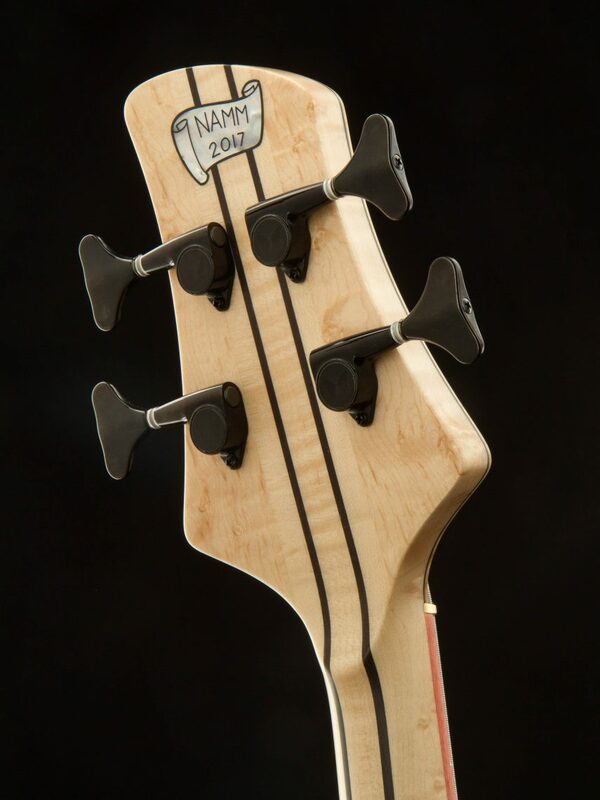 To balance the bright colors of the top and fingerboard, we chose to offset it with Wenge stringers, black hardware, and Ebony tulip inlays!